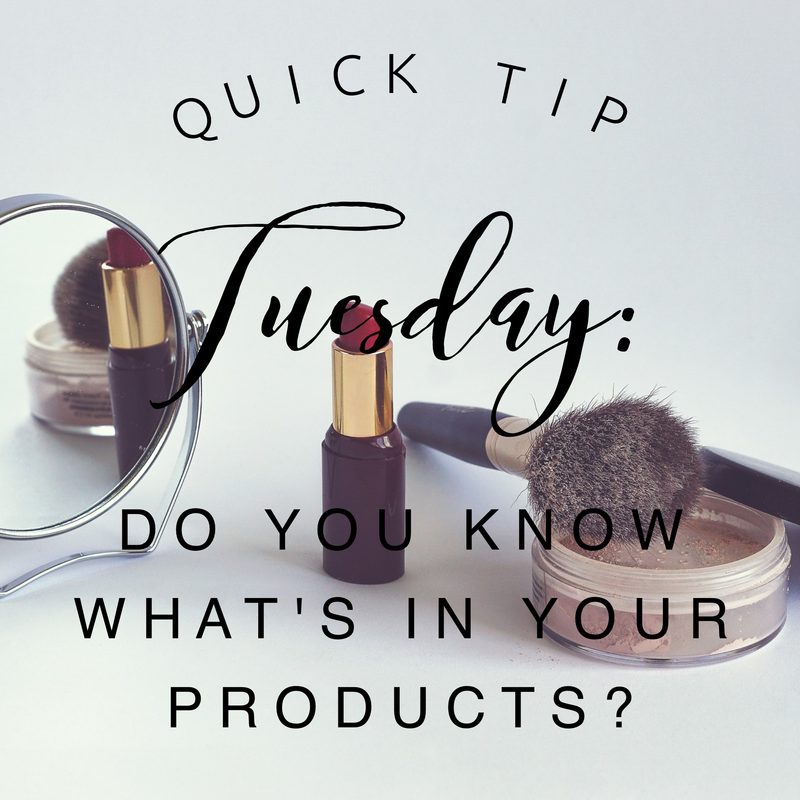 Okay, it is 8 pm and I am posting my quick tip Tuesday! Maybe I should just continue to call this Quick Tip Tuesday and actually post on Wednesday ha! It is funny how often I go not realizing what day it is until halfway through. I am tired haha. Today’s tip is one I am so excited about sharing. I discovered this over a year ago. My son was 2, almost 3 and I wanted to start practicing words with him. He is already so interested in how words are spelled, but he has a tough time sitting still! It makes practicing a bit difficult. I gifted him with Shower crayons the Christmas before and while bathing him one night decided to write a few words on the wall. Before I knew it he was learning the words and we were adding more!! He was so excited to learn a new word each bath and I found that he was identifying them without error! I posted a video to social media and friends were so impressed with how well he knew sight words. He eventually was spelling a few 10 letter words! 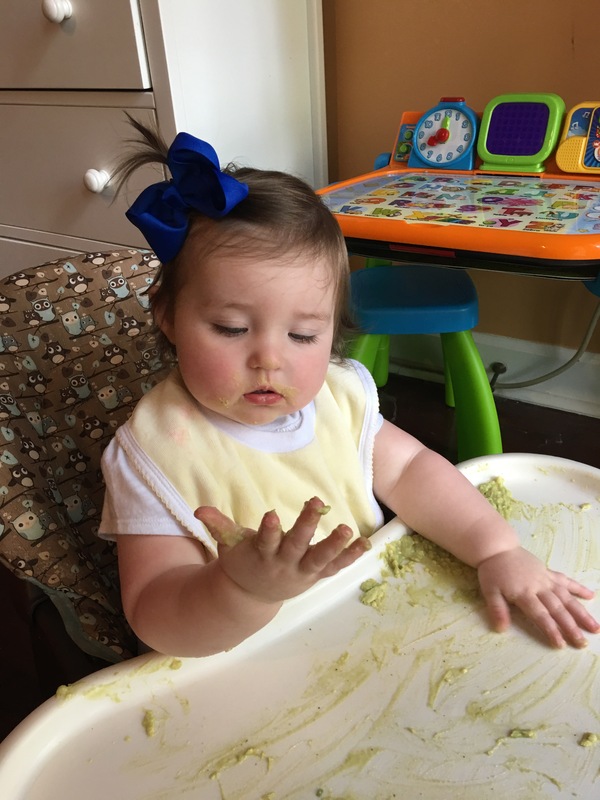 This is something we have been able to keep up with and I am excited to share with my 1 year old in the next year or so. 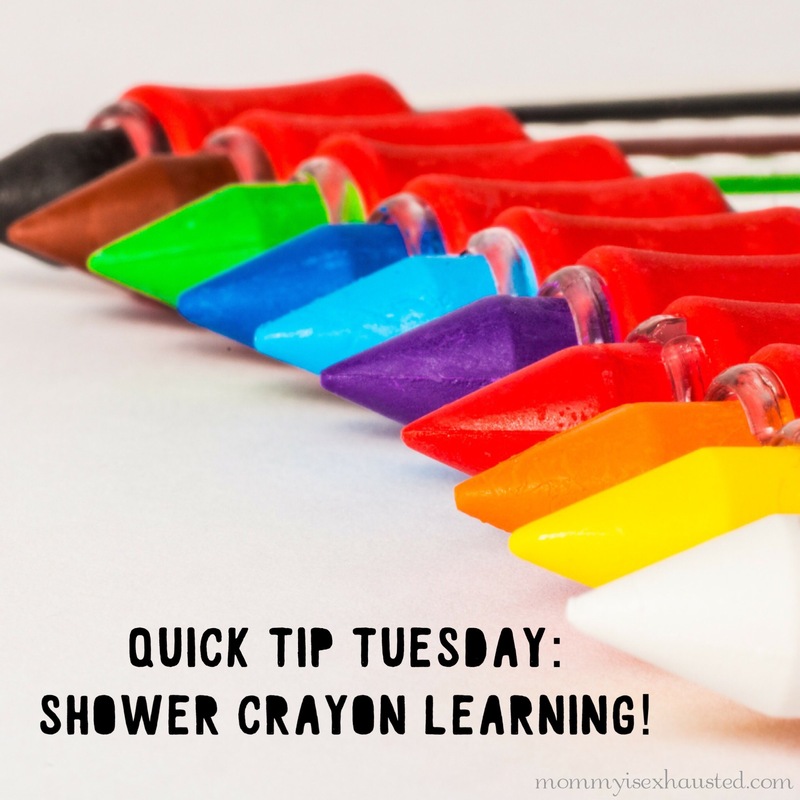 Shower crayons are pretty cheap and lots of fun. Your kids will think it is fun to draw all over the bathroom walls and they wipe off pretty easily. I highly recommend this when you want to introduce sight words to your little one! At just 3 years old my son was identifying every word you see here and spelling most of them! 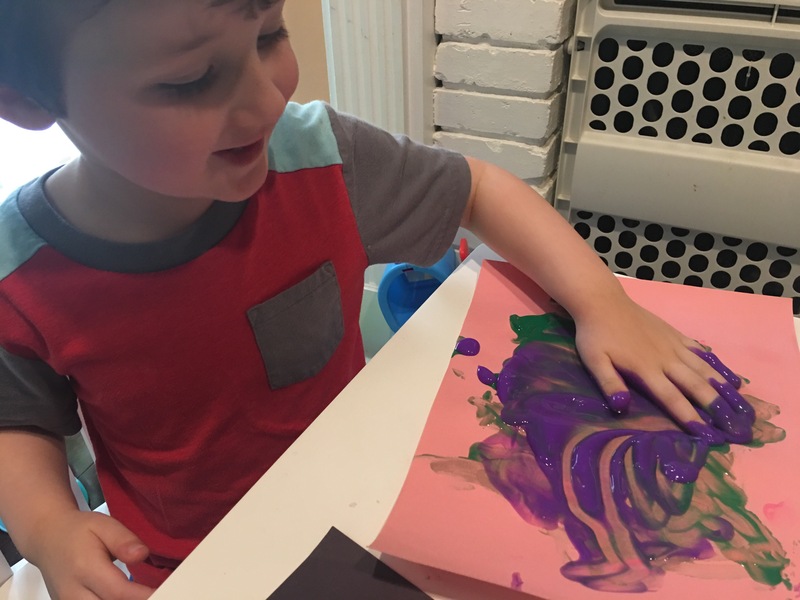 Recently I bought some of the Alex Jr. finger painting paints so my son and I could be creative and messy on days we have to stay inside. This paint was a little runny, so if we were planning on painting for real I wouldn’t recommend it– but for finger painting it was nice! Very easy to wipe off and very vibrant colors. My daughter who just turned 1 was really wanting to join the party. Against my better judgment I sat her down and let her play. Of course, it instantly went toward her mouth! I cleaned her up and had to get creative. I felt bad not letting her play too but she is just too young for finger painting with these paints. 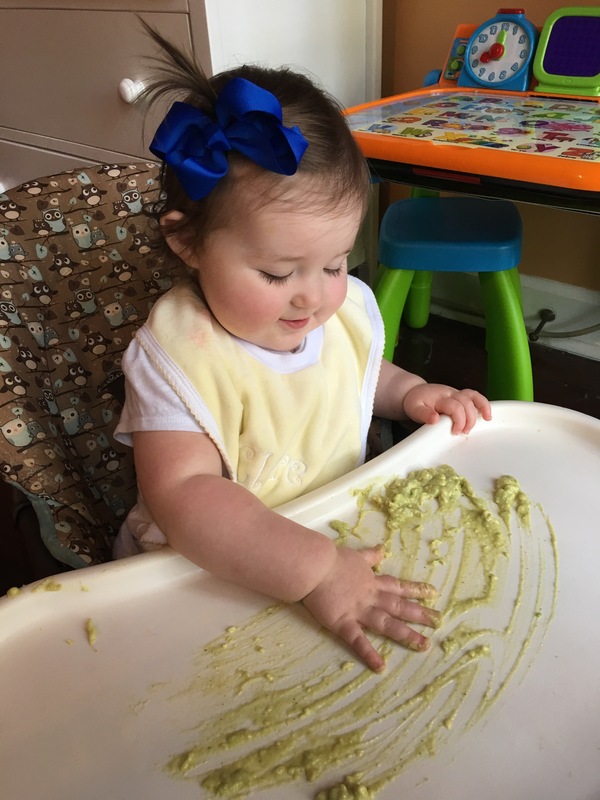 Although they’re non-toxic and recommended for 18+ months, I knew my sweet girl would try to make a meal out of them. I thought for a second and realized that a 1 year old can “paint” with anything! 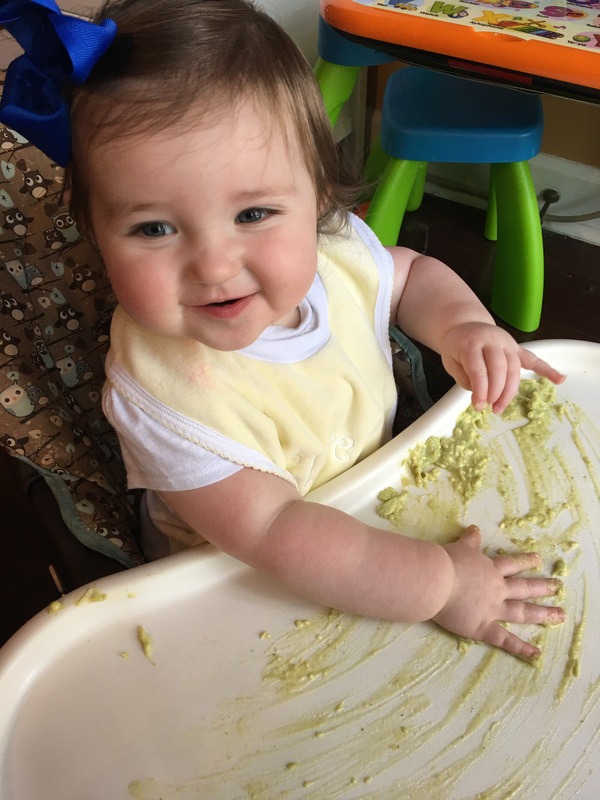 I took some apple + broccoli + avocado purée and dropped it right onto her high chair tray. Her eyes lit up! She immediately started “painting” like her brother had with his real paint. She also got to sample hers 😉 It was a win-win! You can make a lot of fun projects/art with ingredients right in your pantry! This one is a favorite so far :). Enjoy!